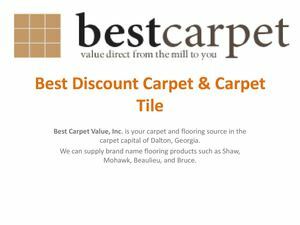 Best Carpet Value, Inc. is your carpet and flooring source in the carpet capital of Dalton, Georgia. We can supply brand name flooring products such as Shaw, Mohawk, Beaulieu, and Bruce. Buy from us and we can almost always save you money.